The space that will soon be occupied by Rainbow Juices at SteelCraft. Photo courtesy of Blair Cohn. This piece was updated on March 29 and originally published on March 28. It is safe to say that Blair Cohn, the man heading the Bixby Knolls Business Improvement Association, saved Bixby Knolls from the great Ramen Revolt of 2019. The space that was to be Ramen Guild will now be Tokyo Guild—with another Tokyo Guild opening in Culver City, the new concept from Takashi Sada, owner of Redondo Beach’s much-lauded Japonica—and will focus on Japanese cuisine. This is all for the better. In less than one year, the city has seen an explosion of ramen where there had not been one shop dedicated to the Japanese staple. Tajima Ramen was the first, opening at SteelCraft in Bixby Knolls. It was followed by Gu Ramen in Downtown; then came HiroNori and Ramen Hub, both in Bixby Knolls; Mr. Makoto on 4th Street, which quickly closed; and Jounetsu Ramen, which replaced 1035 Thai on Fourth Street near Retro Row. And while the space Tokyo Guild is taking over has been perpetually plagued by restaurants that haven’t clicked—before O’ Paloma, it was Atun and before that, The 4262 Spot—it is worth noting Sada’s experience as hope that the space will become viable for the neighborhood. 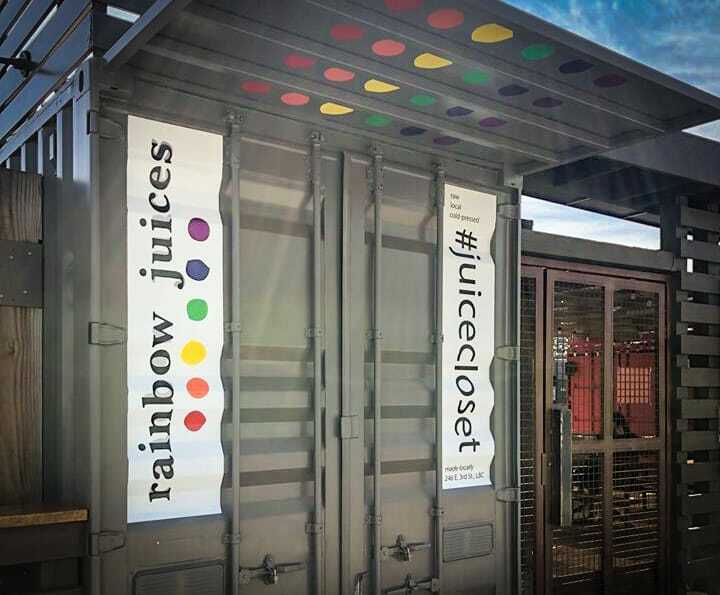 On the other side of Bixby Knolls, Rainbow Juices will be opening up a satellite location at SteelCraft in Bixby Knolls, the shipping container food court concept that has now spawned two other locations and become a neighborhood hub of activity. Owners Chrissy Cox and Dawna Bass have been busy. After opening their first brick-and-mortar in Downtown in 2015—which was created after Rainbow Juices blew up locally as a cottage business with the pair selling their cold press juices at spots like Portfolio Coffeehouse—they decided to venture into the restaurant business with their raw vegan Under The Sun restaurant next door. They will take over the space formerly occupied by Lovesome Chocolates and then California Petals. It is expected to open in the coming weeks. Ramen Guild will be located at 4262 Atlantic Ave. SteelCraft is located at 3768 Long Beach Blvd.